I have to admit–I don’t always pay enough attention to when different fruits and vegetables are in season, especially since I can get pretty much anything at the grocery store any time. There is one thing that I look forward to all year long, however: strawberry season. While you can get strawberries all year round, there simply is nothing like fresh strawberries in the summertime. They are so ripe and juicy; we always buy and eat a ton, especially when they are on sale. Sometimes, however, we buy more than we know just what to do with. (After all, they don’t generally last too long.) When this happens, the best solution is to make this easy strawberry sauce. 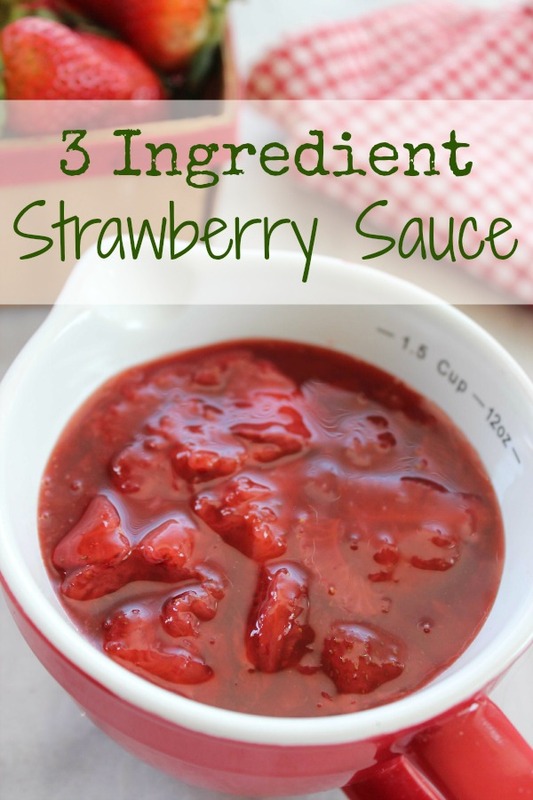 3 Ingredient Strawberry Sauce really should be a summertime staple in every kitchen. It’s simple and easy to make, it’s delicious, and it’s incredibly versatile. 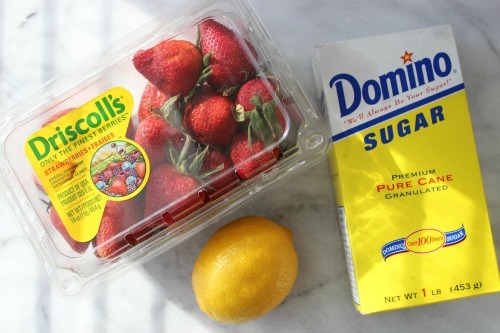 Use it in strawberry pie or as a topping on your ice cream, waffles or pancakes. 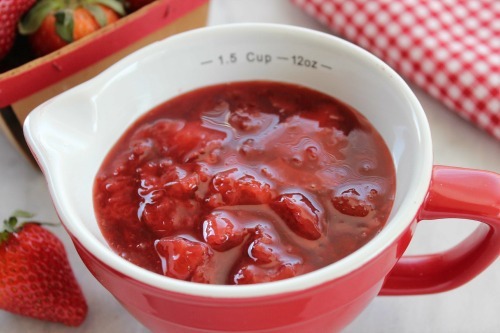 You can even stir a little of this easy strawberry sauce into a nice, cold glass of lemonade or a strawberry milkshake for a refreshing summertime treat. Once you learn how to make strawberry sauce, you may never look back. This sweet treat is one topping your family will be asking for again and again. 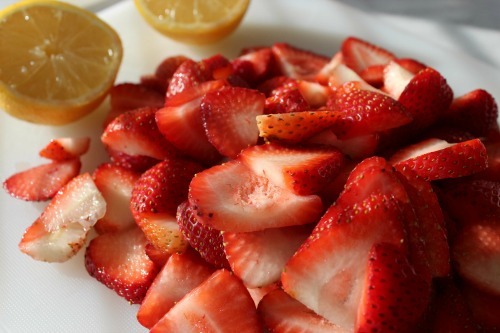 Put strawberries, sugar, ½ tsp lemon zest and the juice of the lemon in a small saucepan.